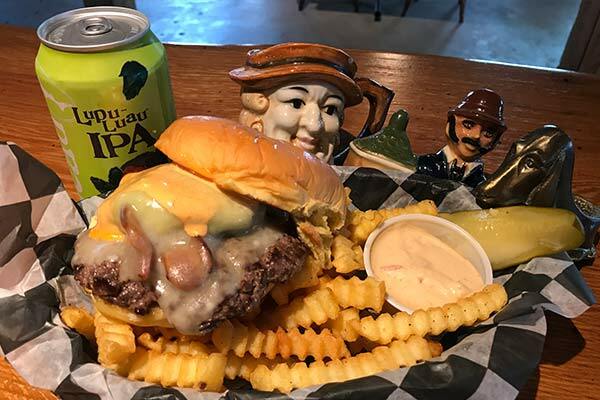 A BURGER JOINT WITH A PASSION FOR CRAFT BEER. VOTED #11 BEST BURGER JOINT IN AMERICA. 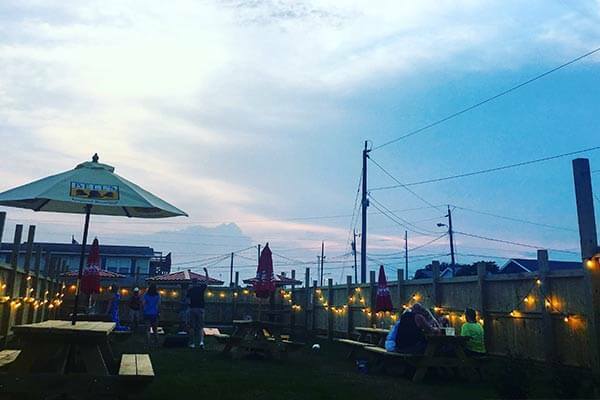 New to the Outer Banks’ food scene, Jack Brown’s Beer & Burger Joint offers more than 100 craft beers and an award-winning burger menu. 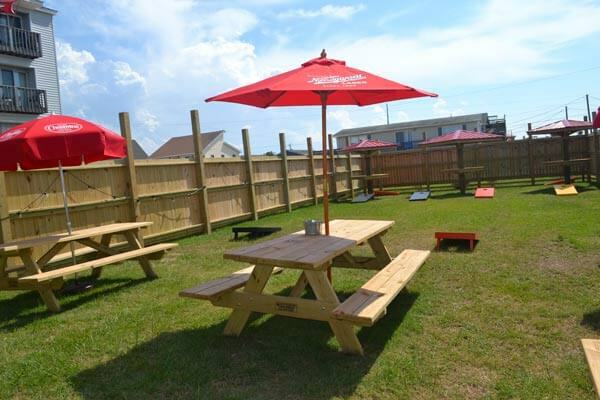 Conveniently located at milepost 8.5 on the Beach Road in Kill Devil Hills, customers can experience great beers from around the corner as well as from around the world. 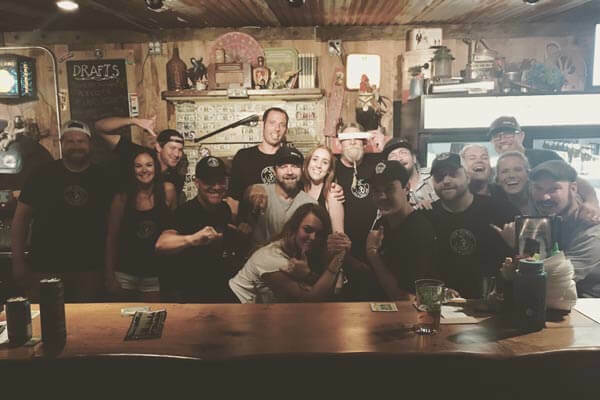 Highly trained staff is ready to guide you through Jack Brown’s extensive menu and ensure that you experience that perfect and delicious burger everyone is buzzing about. Jack Brown’s OBX burgers are 100% all natural Wagyu beef, also known as American-Style Kobe Beef, which is the result of cross-breeding Japanese Wagyu cattle with continental breeds of cattle. Kobe beef is highly sought after because of its intense marbling and rich, buttery texture when cooked. All of Jack Brown’s beef comes exclusively from Snake River Farms in Boise, Idaho, where every step of the beef life cycle – ranching, cattle feeding and animal nutrition – is honored. 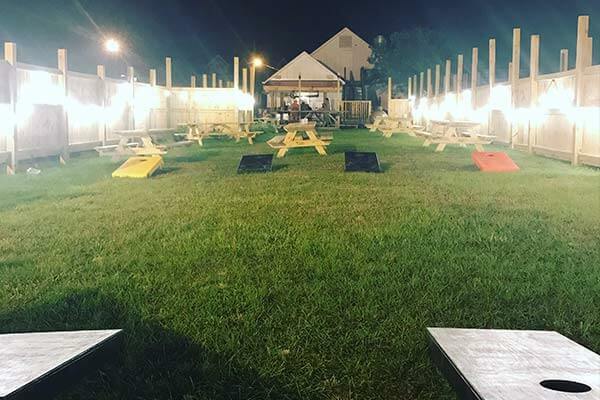 A one-of-a-kind bar that happens to sell a really fantastic burger, you’ll discover that Jack Brown’s OBX menu is purposely simple. This is not a restaurant that tries to please all tastes but rather one that focuses on doing one thing and doing it really well – creating delicious burgers that are unique and crave-able. Jack Brown’s knows that nothing goes better with a great burger than a great beer to match. That’s why they always stock an exciting variety of all styles of craft beer, ranging from local darlings to rare beers from around the world. 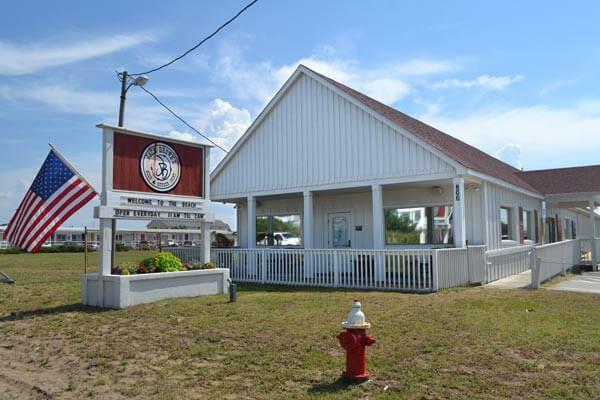 Jack Brown’s OBX staff is the “special sauce” that brings all of this together. They have all been trained to guide you through the world of craft beer and crazy burgers and, of course, ensure you have a great all-around experience. 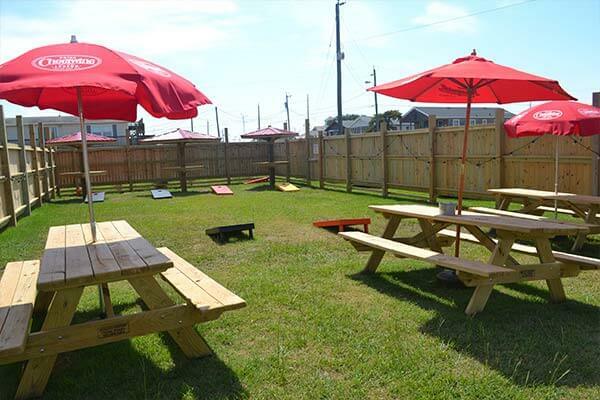 You’ll find the restaurant and bar are designed to be a relaxing place to quench your thirst and satisfy your hunger. That’s because everyone at Jack Brown’s Beer & Burger Joint hopes that you enjoy your experience, but most importantly they want you to feel welcomed. This joint is claimed in the name of a good beer, good food, and good people! Cheers!